For the most intense extreme sports enthusiasts, mountain climbing offers a serene and awe-inspiring way to connect with nature and to conquer the elements. There are thousands of dangerous mountains all around the world including many of the most notable peaks and mountains in existence. With multiple fatalities – sometimes even dozens – reported on a handful of mountains, these pillars create fear and ambition in the hearts of the world’s greatest mountain climbers. Below is a list and description of the ten most dangerous mountains in the world – continue the trek if you dare! 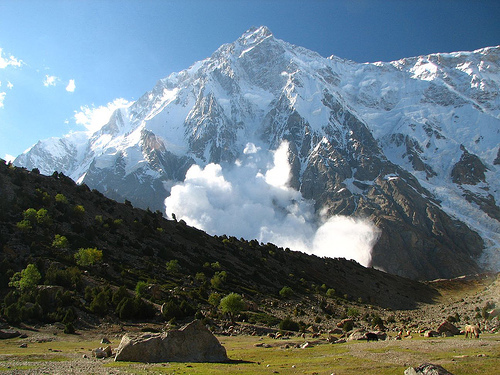 Meaning “naked mountain” in Hindi, Nanga Parbat certainly appears to be so as there is virtually no vegetation or trees to be seen anywhere on the mountain. Standing 8,126 meters (26,660 ft) tall, it is currently the 9th tallest mountain in the world and has never been successfully climbed in the winter. With at least three people dying on the mountain since 2000 and several barely escaping with their lives, Nanga Parbat is one of the most dangerous mountains in the world and demands respect from extreme sports lovers and climbers. Since the first reported climb in 1954 by an Italian team, extreme sports adventurers have been attempting to set their own feet on the summit. Topping out at 8,611 meters (28,251 ft) in height, K2 ranks as Pakistan’s tallest mountain, the second tallest mountain in the world and a definite contender for one of the most dangerous mountains on Earth. Nearly eighty reported climbers have died while attempting the ascent, many bodies never to be reclaimed. 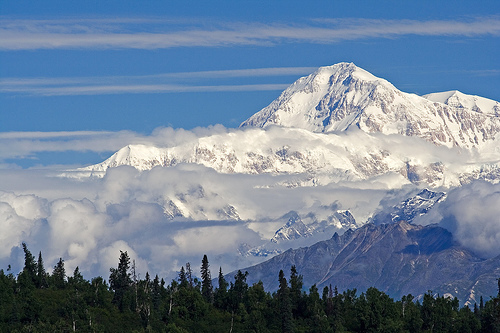 Also known as Denali, Mount McKinley is the largest and tallest mountain in North America. Situated in south-central Alaska, McKinley has extreme weather and absolutely brutal temperatures. A self-recording thermometer left on the mountain discovered that at one point, the temperature had dropped to -100 degrees Fahrenheit. For extreme sports lovers, there are many ways up the mountain nowadays. Even with the convenience of access, McKinley remains near the top in terms of dangerous mountains and should be approached with caution. Located outside the Bolivian capital of La Paz, Huayna Potosi is one of the most popular climbs in Bolivia but also among the most dangerous mountains. Standing at 6,088 meters (19,974 ft), it certainly defines the skyline of the Andes and is visible from the capital. Often referred to as “the easiest 6000er in the world”, Huayna Potosi can be climbed in two days with many accommodations available considering the danger of the mountain. Extreme sports climbers typically make the final 900 meter journey at night as the snow becomes unstable after sunlight warms it up. Known as the Mountain of Fire to local Indonesians, Mount Merapi rises out of the island and protrudes approximately 2,930 meters (9,613 ft). 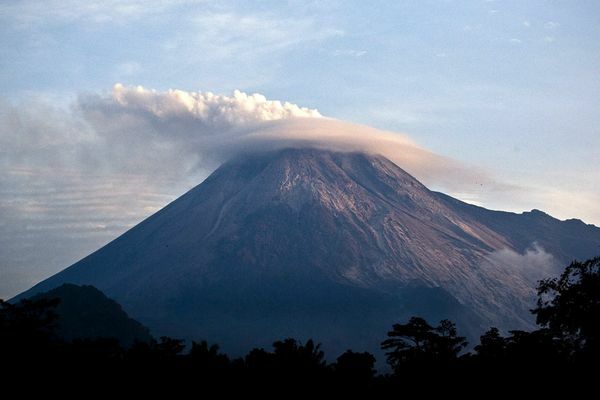 While not necessarily a huge mountain, Merapi is an active volcano and presents challenges to extreme sports fanatics in the form of constant smoke and even pyroclastic flows when it erupts. There are numerous villages on the mountain, some as far as 1,700 meters high. While starting out fairly easy in terms of incline, the mountain quickly changes grade as the tall, volcanic top begins to rise out of the valley. When it comes to dangerous mountains, Merapi presents several challenges to any mountain climber. Straddling the Nepal-India border in the Himalayas, Kanchenjunga is the third tallest mountain in the world with a height of 8,586 meters (28,169 ft). The tradition of climbing this mountain has actually left it never fully ascended; climbers have respected the locals’ belief that the mountain is sacred and as such have always stopped a few meters before the top. Several deaths have been reported among the extreme sports community when attempting to climb this peak and combined with the climate and conditions this is one of the most dangerous mountains in the world. 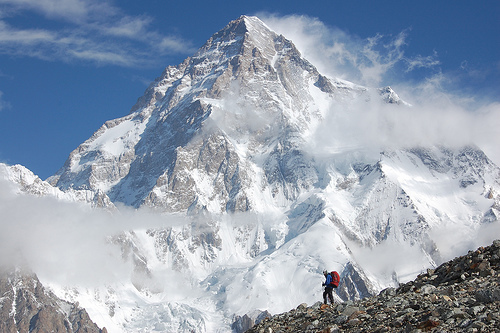 This is one of the deadliest peaks in the world, despite its miniscule size of just 4,478 meters (14,692 ft). This mountain sits on the Switzerland-Italy border and was first scaled in 1865. Most of the original extreme sports team who ascended the mountain died on the way back down and since then over 700 others have been reported to have perished on the mount. 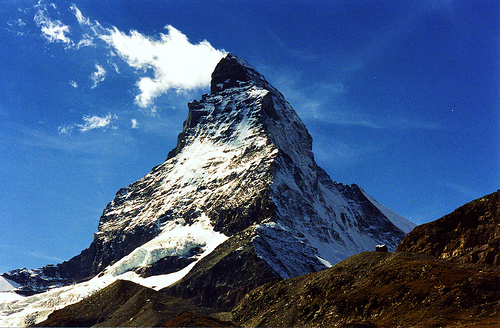 With an extremely steep grade and such a reputation of death, Matterhorn ranks highly among the world’s most dangerous mountains. 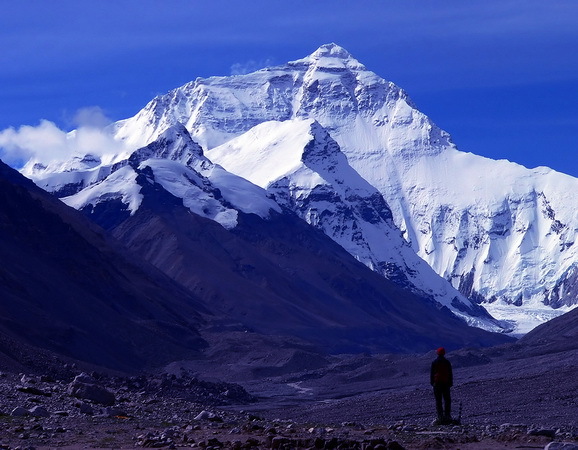 The tallest and most well-known mountain in the world, Mount Everest’s reputation precedes it due to the high number of fatalities and the sheer size of it. 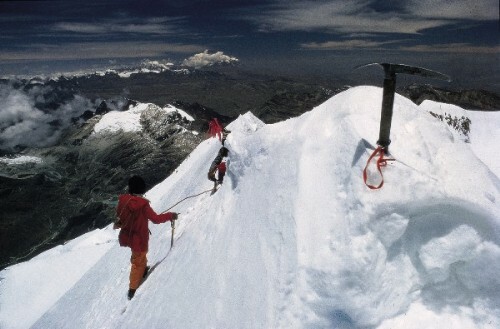 Situated between Nepal and Tibet (China), Edmund Hilary was the first individual to ascend the peak in 1953. During 1996 alone, 16 people died trying to climb to the summit; this alone could place it on the world’s most dangerous mountains list. The route is fairly easy for extreme sports climbers, especially considering it is a nearly 9,000 meter peak (29,029 ft). Weather, altitude sickness and wind all present additional problems, however. 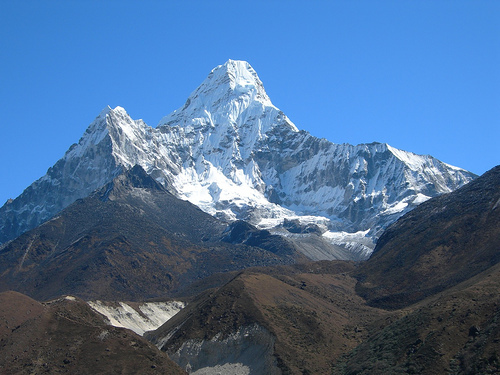 First ascended in 1961 by four extreme sports climbers, Ama Dablam stands at 6,812 meters (22,349 ft) tall and its name means “Mother’s necklace”. Finding its place in the most dangerous mountains in the world, Ama Dablam has seen its share of tragedy. In 2006, a massive avalanche pounded down the mountain, taking out an entire camp and claiming the lives of six people. Ana Dablam is just a hop, skip and jump away from Mount Everest. 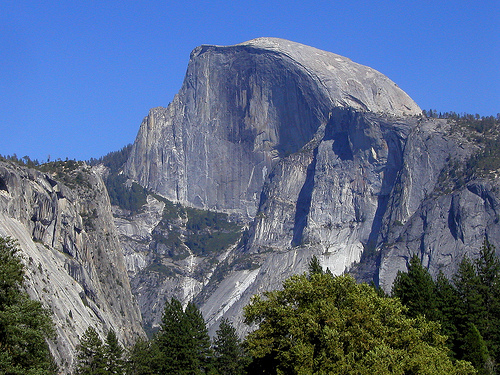 Located in the mountainous inner-workings of central California, Half Dome has become a marvel and mecca for mountain climbers in the United States. First ascended in 1875, the original route was established by George Anderson who drilled spikes into the eastern slope. Standing at 2,693 meters (8,836 ft), there is a cable route to climb as well as traditional routes for experienced climbers. There have been a total of six fatalities since 1919 as a result of climbing, with two additional individuals dying from lightning strikes. The top of the dome is well-rounded and perfect for enjoying the view of Little Yosemite and other smaller peaks. This entry was posted in Featured, Land Sports, Rock Climbing, Travel and tagged Climbing, Mountains. Bookmark the permalink.